With COP17 CON17 going on, the shrillness of those who want to make big bucks off the global warming scam is increasing exponentially. Today we have the Honorable Foua Toloa, head of Government of Tokelau in the Pacific, who believes the island’s 1,400 inhabitants are at grave risk from climate change lack of money. Of course him, and others in charge of low-lying (emphasis on lying) islands worldwide are hoping to cash in on the global warming gravy-train. 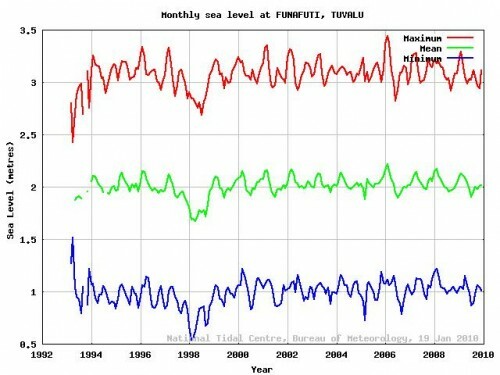 You can look at the graph below showing the south Pacific sea-levels at Tuvalu, which is adjacent to Tokelau, and see just how much that sea-level is rising (not). You can also look at the below graph of the south Pacific. 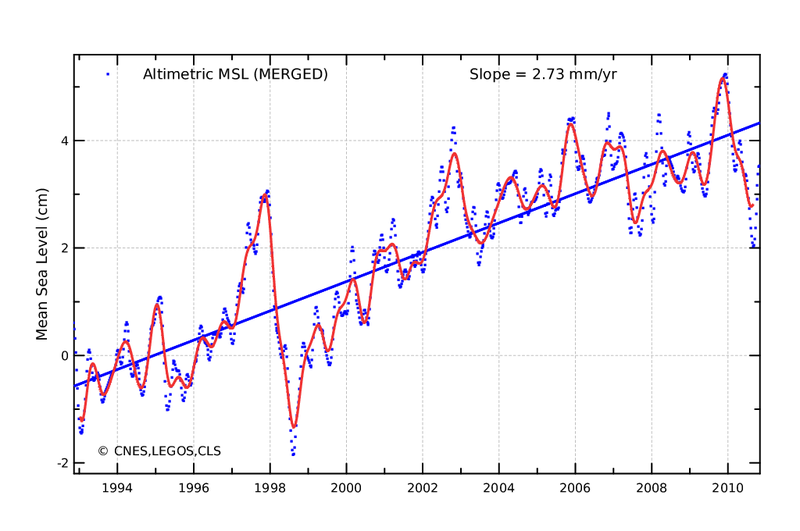 While, yes there is an overall uptrend of 2.73 millimeters per year, note the downtrend that is starting in 2010. Also note that 2.73 millimeters = 0.107480315 inches. Or, a whopping 10th of an inch a year. 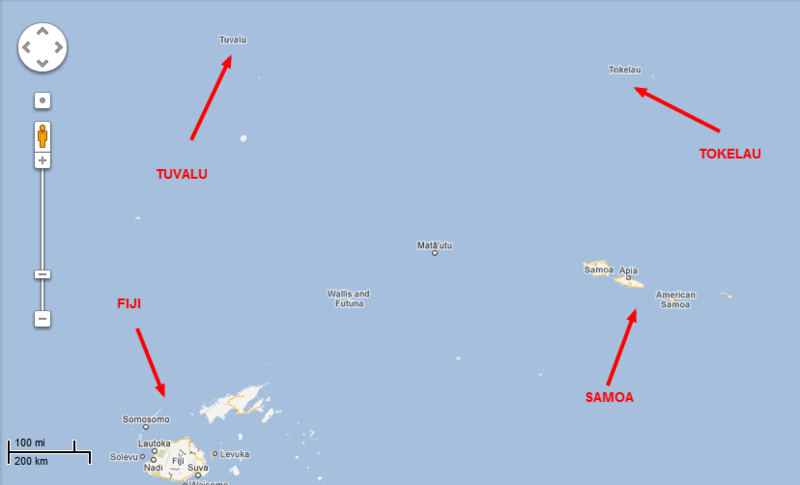 Tokelau is 5 meters above sea-level. 5 meters = 16.4041995 feet. Divide 16.4 feet (196.850394 inches) by 0.107480315 inches per year sea-level rise and we find it will take a mere 1,831.5 years for Tokelau to be completely submerged. You have to ask yourself what all the rush is about? Being submerged in 1,832.5 years? Or, helping the United Nations clown circus by BS’ing everyone in order to get hundreds of billions of dollars sucked from productive countries via phony carbon trading scams and carbon taxes? You can read more about the low lying that is going on from Andrew Bolt here.